In our current culture we overuse certain movement patterns in our hands and wrists. We spend a lot of time at keyboards, on handheld devices and using a mouse. This limited range of motion from typing, driving and computer work in our hands, arms and shoulder girdle leads to issues such as carpal tunnel syndrome, arthritis, frozen shoulder, tendonitis, and tennis elbow, muscle and joint pain. Today I am going to show you how to do a delicious hand massage to stimulate the acupuncture and meridian points that run through your hands and the tips of your fingers. These acupuncture and meridian points related to all the various organs and systems of your body, so not only are you creating ease in your hands and wrists but you are also creating harmony and ease in your whole body. a great source of antioxidant carotenoids like alpha-carotene, beta carotene, beta-cryptoxanthin, zeaxanthin and lutein. These free radical quenching compounds protect your skin from environmental damage that leads to fine lines, wrinkles and other visible signs of aging. High amounts of carotenoids in your diet have been shown in scientific studies to improve your skin’s density, thickness, tone and general appearance. Vitamin E in avocados prevent free radical damage from oxidizing fats in your skin cells that lead to aging skin. The high oleic acid content in avocados is a monounsaturated fatty acid that maintains moisture in the epidermal layer of your skin, helping to make it soft and hydrated. Precaution: If you are pregnant it is better not to target specific areas as toxins can be released causing weakness for your fetus. This class is particularly good for issues related to your hands and wrists such as carpal tunnel syndrome, tendinitis, arthritis, pain from working long hours at computers, cell phones, driving etc. This class is the antidote to 21st century living. With the continuous time spent at keyboards, typing on handheld devices, gripping your mouse and the steering wheel of your car your hands take a beating. 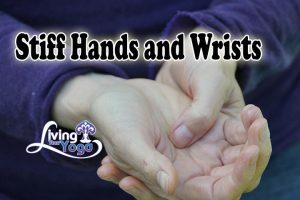 This class will stretch out your hands and wrists and explore their mind/body connection. You’ll probably decide to make it a part of your daily practice! Thanks for watching, if you have any questions leave them in the comments below.